Your Pie Perimeter is teaming up with Family Promise NFD to give delicious, FREE pizza to the families every week. Your Pie Perimeter has committed to donating 1,000 pizzas to those in need - especially children - by September 2017. From kids meals to gelato to craft beer, Your Pie Perimeter has great options to accompany your pie too. Visit them at: Your Pie Perimeter, 123 Perimeter Center W, #200, Atlanta, GA 30346. Follow them socially @YourpieP. Sonesta ES Suites in Sandy Springs and Chamblee has teamed up with Family Promise NFD to give our guests affordable, safe, and fun hotel stays. Sometimes our organization needs to house our guests in hotels, and this can get extremely expensive. Thanks to Sonesta ES Suites, our guests can stay in a safe and clean hotel that's easy on the wallet. 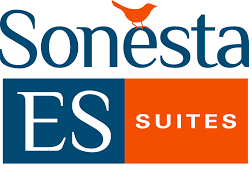 Sonesta ES Suites is an extended stay hotel brand all around the United States. At Sonesta ES Suites, they offer you more than just a place to stay. They give you a place to relax, a place to be productive, and yes... a place that's just a little more fun. The Ed Isakson/Alpharetta Family YMCA focuses on developing the potential of kids, improving individual health and well-being, and giving back and supporting our neighbors. They provide weekend recreation opportunities for our families. For the summer of 2017, Ed Isakson YMCA is providing the children in our program, age 6-12, with FREE summer camp for 9 weeks. donuts, coffee & fountain drinks as well as gasoline, has supported our organization with financial contributions and gas cards. For over 30 years, Woodforest National Bank has successfully stood among the strongest community banks in the nation, proudly offering unsurpassed quality customer service since 1980. Woodforest National Bank offers both consumer and business products and services at more than 750 branches in 17 states across the United States. Located at Perimeter, Sage Woodfire Tavern is a longstanding member of the Dunwoody/Sandy Springs area. In a new partnership with Family Promise NFD, Sage is graciously donating their time and talents to assist in Family Promise NFD events.